The person responsible for lighting fireworks should not consume alcohol. Heat in a small saucepan and pour into heat-proof cups just before boiling. Add a slice of lemon to each cup, and serve. Mix large parts of icing sugar with red wine in a punch bowl, and stir well. Add the soda, plenty of ice, and drop in a few orange (or lemon) slices. Serve in a punch bowl for all to enjoy. Take a leaf from the Germans and enjoy this traditional drink. Simmer gently for 30 seconds and strain into a heat-proof goblet. Imagine the body of a fine red wine with spicy overtones, mellow autumn evenings and wholesome, traditional British food; imagine too, a flavoursome ale that’s great to drink at any time. 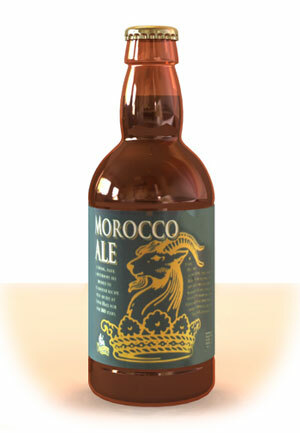 Morocco Ale is brewed to a secret recipe from Levens Hall in Westmoreland first developed more than 300 years ago. Morocco Ale was named by Colonel James Grahme of Levens - a courtier of King Charles II.